Naa Peru Surya: Stylish Star Allu Arjun is all set to release his upcoming film DJ Duvvada Jagannadham hitting the screens on June 23rd, 2017 worldwide.While all this is happening, Allu Arjun has commenced work on his next film which is being directed by writer Vakkantham Vamsi. 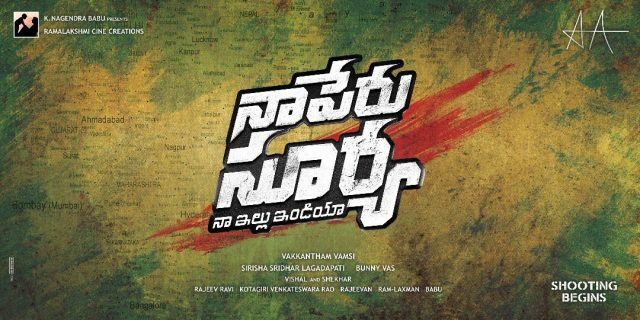 The film was officially launched today (14/6/2017) in Hyderabad and makers have titled the film as Naa Peru Surya. 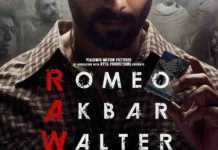 This film will mark the debut of Vakkantham Vamsi as a director. 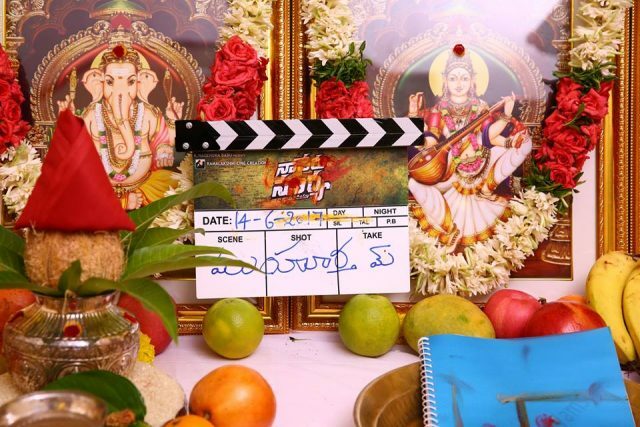 Vakkantham Vamsi has penned down stories for Super hit films in the past like Temper, Kick, Race Gurram and Yevadu. 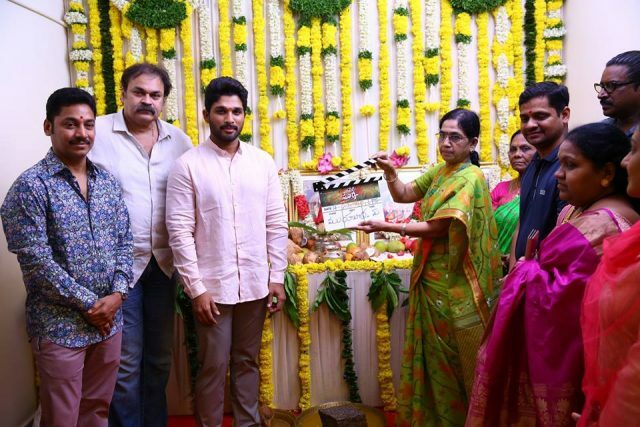 The popular writer has now turned to direction with this Allu Arjun starrer Naa Peru Surya. 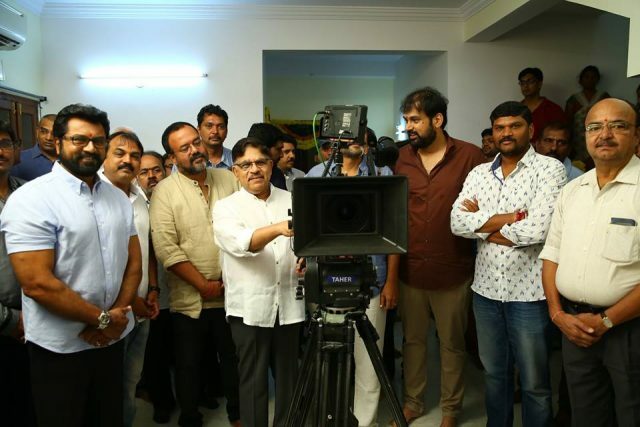 This film will feature popular actor R. Sarathkumar as the father of Allu Arjun and Action King Arjun Sarja will also play an important in the film. The Naa Peru Surya film will also mark the debut of Kannada actress Rashmika Mandanna in Telugu cinema, who shot to fame with superhit Kannada film Kirik Party. Naa Peru Surya will have Bollywood composer duo Vishal-Shekar render tunes for the music album. 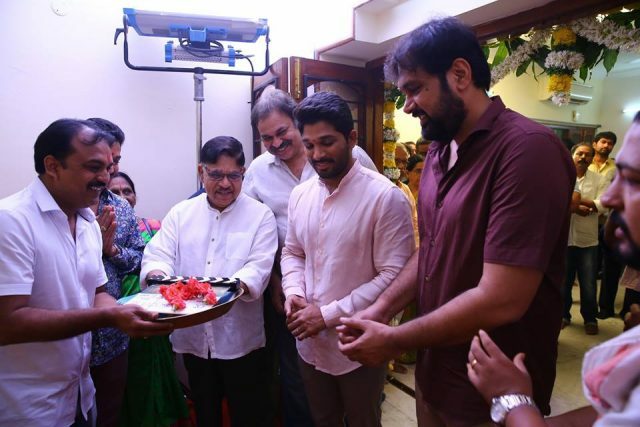 Tags: Allu Arjun’s Naa Peru Surya Movie Launched, Naa Peru Surya Movie, Allu Arjun, Vakkantham Vamsi, Allu Arjun’s Next Film, Allu Arjun New Film.